This chapter describes the use of glutathione S-transferase (GST) gene fusion proteins as a method for inducible, high-level protein expression and purification from bacterial cell lysates. The protein is expressed in a pGEX vector, with the GST moiety located at the N terminus followed by the target protein. The use of GST as a fusion tag is desirable because it can act as a chaperone to facilitate protein folding, and frequently the fusion protein can be expressed as a soluble protein rather than in inclusion bodies. Additionally, the GST fusion protein can be affinity purified facilely without denaturation or use of mild detergents. The fusion protein is captured by immobilized glutathione and impurities are washed away. The fusion protein then is eluted under mild, non-denaturing conditions using reduced glutathione. If desired, the removal of the GST affinity tag is accomplished by using a site-specific protease recognition sequence located between the GST moiety and the target protein. 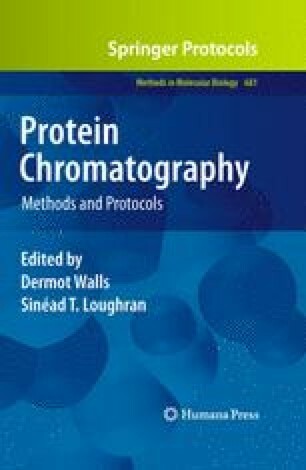 Purified proteins have been used successfully in immunological studies, structure determinations, vaccine production, protein–protein, and protein–DNA interaction studies and other biochemical analyses. This work was supported in part by the National Institutes of Health Grant HL038794 and institutional grants to The Wistar Institute, including an NCI Cancer Core Grant (CA10815) and grants from the Pennsylvania Department of Health.